Throughout the history of filmmaking, men have dominated the directer’s chair. Even though women make up 50 percent of moviegoers, only four percent of films are actually directed by women. When watching an award show like the Oscars, it’s noticeable how very few women are ever nominated for their work in the industry. Only one woman has received an Academy Award for directing after almost a century, so Hollywood is in need of some change. With women (and especially women of color) getting a chance to direct, they are able to exude diversity and inclusivity that is often times lacking in the entertainment industry. These are some of the best films directed by women. See which hilarious Sandra Bullock comedy was directed by a woman. After 127 nominations and 29 wins, Lisa Cholodenko didn’t receive one award for directing The Kids Are All Right. She co-wrote and directed a timely piece about a couple of teenagers living with their moms who set out to meet their biological father. It brings to light that families, even the most unconventional and controversial, know how to make love a priority. Authenticity ran deep among this signature cast. Julianne Moore and Annette Bening as the moms have undeniable chemistry. 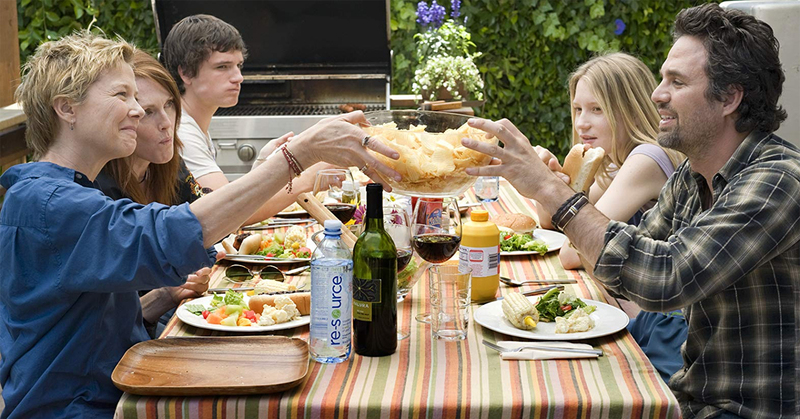 The cast’s loving family dynamic is proof that it was formed from the trust of the director. Andrea Arnold had quite an unorthodox style for directing American Honey. Her film is almost three hours long, it was shot in chronological order, and most of the dialogue was improvised. It was also very important for Arnold to work with unknown actors, so she would often approach random teenagers in public and ask for impromptu auditions. This is how she found lead actress Sasha Lane on a beach in Panama City. Lane then took on a very complex role where she earned extreme praise. Her character joined a traveling magazine sales crew in the Midwest and must deal with young love and living above the law. If Sofia Coppola’s name sounds familiar it’s because her father is the famed director Francis Ford Coppola, known for films like The Godfather and Apocalypse Now. Since directing runs in the family it’s no wonder that Sofia has excelled in the business. 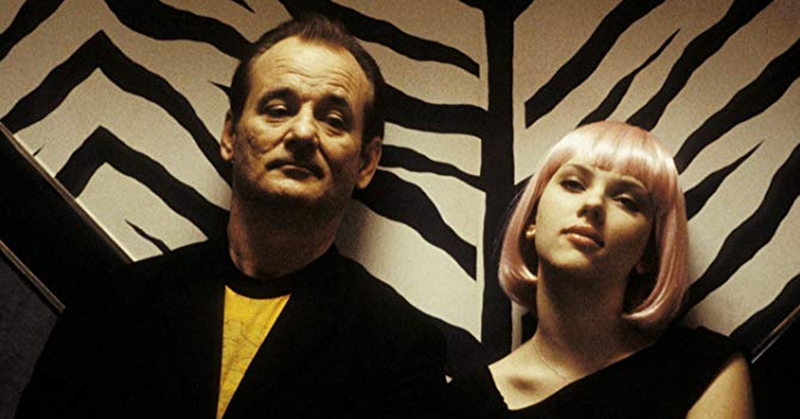 She single-handedly wrote and directed Lost in Translation about an unlikely pair who make a surprising connection in Tokyo. This was only Sofia’s second time directing a feature film and she was able to cast two of Hollywood’s most sought after actors (Bill Murray and Scarlett Johansson) in the leading roles. Can You Ever Forgive Me? involves understanding the female psyche. Director Marielle Heller was tasked with directing the film surrounding a female lead character and her major flaws. 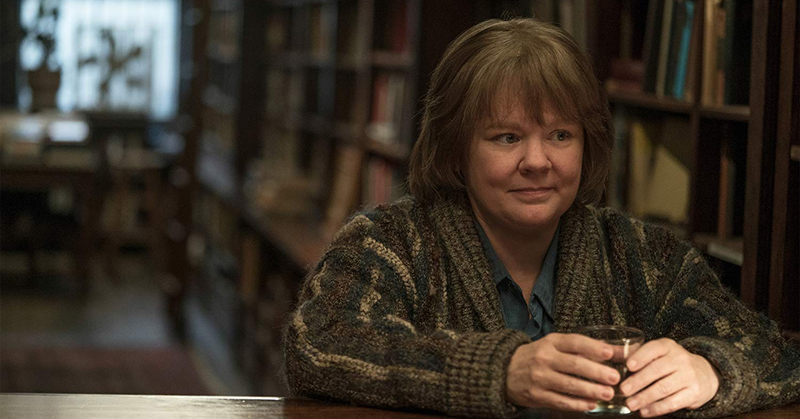 Melissa McCarthy stepped into the role of author, Lee Israel, known for literary forgery. In years past female characters were usually written to fit into certain molds like helping the leading man achieve his goal or serving as the matriarch of a household. Lee Israel is nothing like those past clichés. Heller is able to take a dishonest alcoholic and turn her into a woman who is forgivable and even lovable. This next female director was the first and only to win an Academy Award for directing. After almost a century there’s only been one woman to win an Academy Award for Best Achievement in Directing. Kathryn Bigelow owns that special and groundbreaking honor for directing The Hurt Locker. 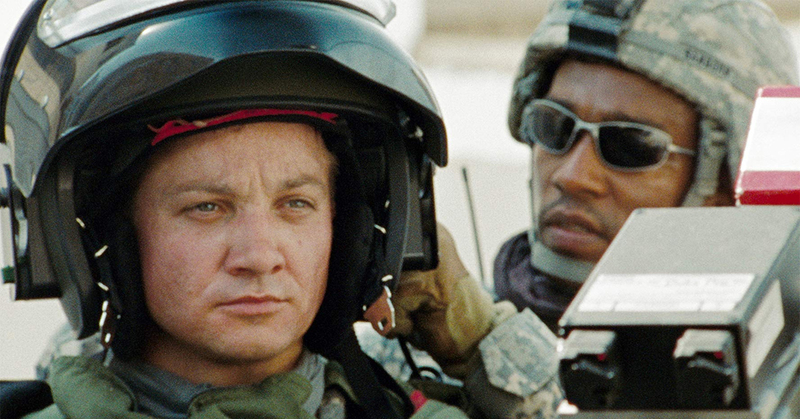 The movie took place during the Iraq War where an army bomb squad are left under the command of a maverick Sergeant. It was timely, heartfelt, and well-acted. Bigelow took an Iraq War-set action thriller and put it into the perspective of the soldiers who witnessed the fighting firsthand. Her work demonstrates that women are capable of directing any kind of storyline and it’s very possible the film would’ve turned out much different if a man directed. Barbra Streisand made history after completing Yentl in 1983. She was one of the first women in history to have a leading role in a feature film that she also. Her work on the film was met with massive praise including Best Motion Picture and Best Director awards at the Golden Globes. Yentl’s plot followed a Jewish girl who disguised herself as a boy to enter religious training. Set in Eastern Europe in 1904, Yentl’s thirst for knowledge is frowned upon because of her gender. It was fitting that Streisand directed the film due to the strong themes of gender inequality. 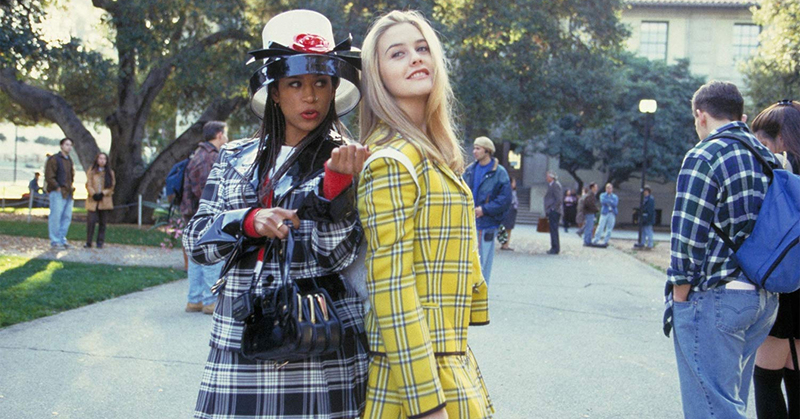 If there’s a film that perfectly captures the life of teenage girls in the 1990s, Clueless comes the closest. Amy Heckerling both wrote and directed the movie about an upper-class teen girl who tries to help a new student fit into her social scene. Along the way, she deals with love, friendships, and some iconic fashion pieces. The lead character Cher is more complex than she lets on. Behind her superficial exterior, she hides her true intelligence and empathy. Heckerling is able to show Cher’s complexities while highlighting the supporting female characters’ strengths as well. This made the film both relatable and empowering for women alike. Also another contender for the Best Achievement in Directing Academy Award, Greta Gerwig wrote and directed 2017’s Lady Bird. This coming-of-age film set in the early 2000s features Saoirse Ronan as Christine (Lady Bird) McPherson during her last year of high school surrounded by the rich landscape of Sacramento, California. Female-led films written and directed by women are usually able to bring out authenticity and emotional depth to their audiences. Gerwig worked closely with the all star cast to make sure that her message of personal growth would flow naturally on screen. 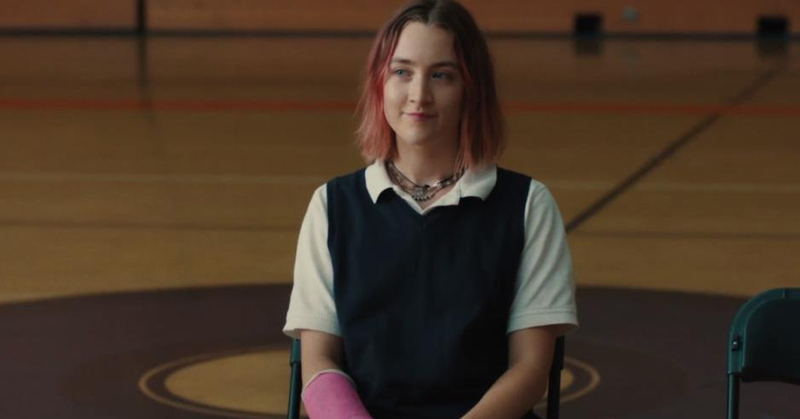 The film relies on Lady Bird’s crucial relationships with her family, friends, and love interests in order for her to make an ultimate character transformation. This next female writer/director was one to watch in 2018. After watching a roundtable chat for 2018s most liked writer/directors, only one woman filled a seat at the table. Tamara Jenkins’ most recent writing and directing credit is Private Life. 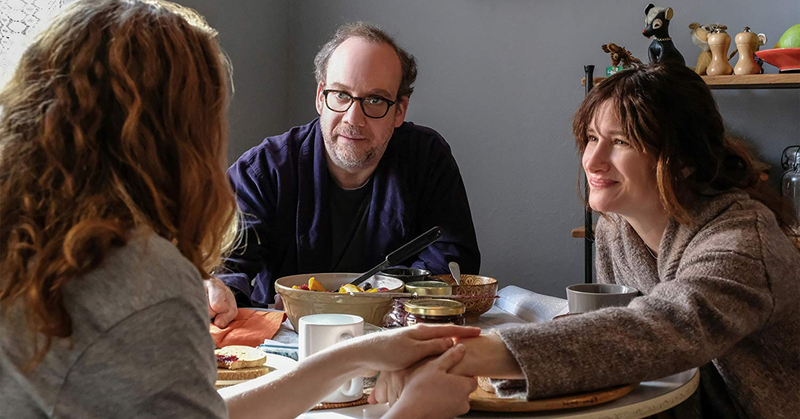 Kathryn Hahn, Paul Giamatti, Molly Shannon, and more star in this drama about a couple struggling to get pregnant after multiple fertility treatments. This plot may seem a little simple at first, but there are so many nuances behind this couple’s private life. They decide to ask their college-age niece to be their egg donor. The relationship between the three of them is what drives the movie and asks viewers to imagine a likely situation that’s rarely shown in media. Women who play the boss of men in films are sometimes given the reused pushy and domineering persona. Sandra Bullock’s character in The Proposal starts out fitting that exact description. Under the direction of Anne Fletcher, The Proposal’s plot deals with the type-A boss (Bullock) forcing her assistant (Ryan Reynolds) to marry her so she won’t be deported out of the U.S.
As the movie progresses, Bullock’s character is able to let down her guard bit by bit and shed her previous harsh demeanor. While the theme of this film isn’t deep or grandiose, it still remains a feel-good flick with great comedic acting. There are numerous films that capture the essence of what it’s like to be a teen and to contemporarily come of age, so there must be a reason why this movie genre is so popular. Females want to find other women in the media that closely resemble themselves. Kelly Fremon Craig wrote and directed 2016’s The Edge of Seventeen starring Hailee Steinfeld, Haley Lu Richardson, Woody Harrelson, and more. After Nadine’s (Steinfeld) best friend (Richardson) starts dating her older brother, her high school life starts to unravel. 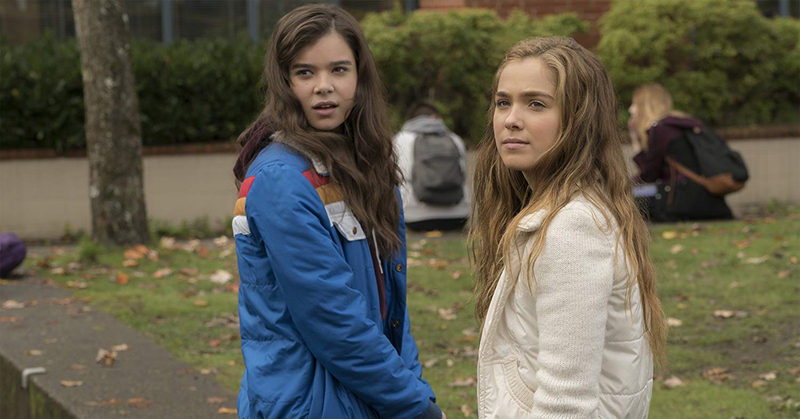 The Edge of Seventeen portrays life as a teenage girl in a much darker light than other coming-of-age films, giving it believability and raw honesty. 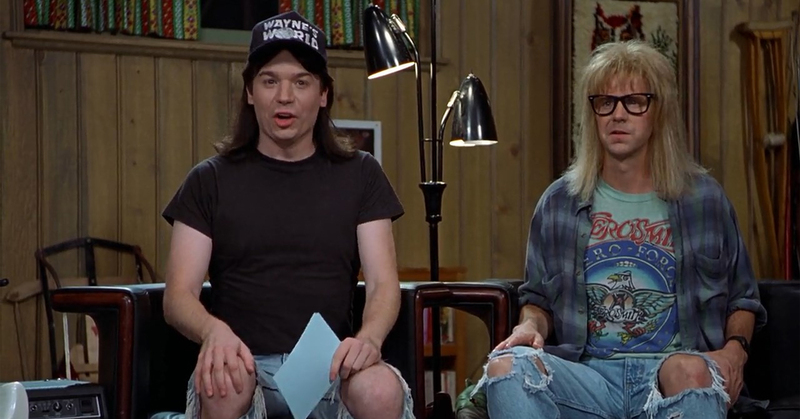 Wayne’s World started as a skit on Saturday Night Live and its popularity led to a couple feature-length movies. The basic premise revolved around slackers Wayne and Garth as they tried to promote their public-access cable show. Penelope Spheeris, known for films like The Little Rascals, The Beverly Hillbillies, and Suburbia, stepped in as the director. This oddball comedy has countless memorable catch phrases and is remembered for its wacky, but endearing characters. Fans of all ages can enjoy the film’s humor without it having vulgarity or unnecessary stereotypes found in other comedies. 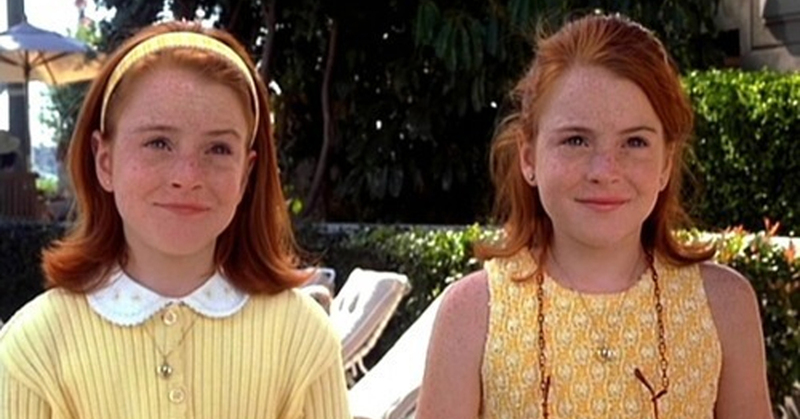 The 1998 version of The Parent Trap starring Lindsay Lohan is one of the most beloved childhood movies in history. Nancy Meyer, known for romantic comedies like It’s Complicated and Something’s Gotta Give, directed Lohan in the first film role of her career. She played identical twins Annie and Hallie who were separated at birth and were each raised by one of their parents. After they meet at summer camp they hatch a plan to switch places and get their parents back together. The film’s lovable cast, engaging story, and phenomenal soundtrack are what tie it all together. 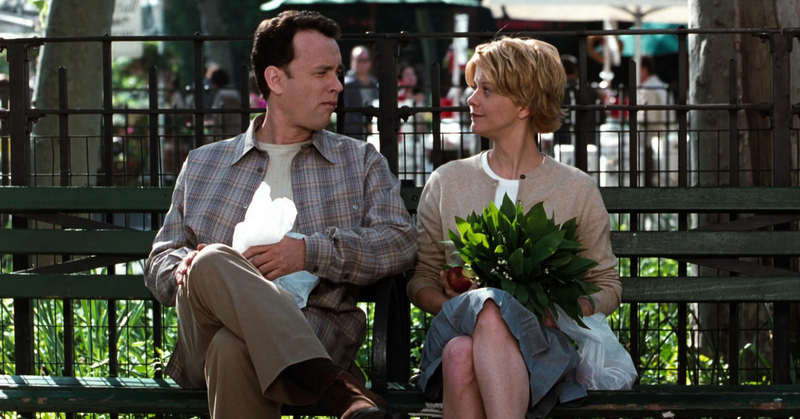 Tom Hanks and Meg Ryan were one of romantic comedy’s favorite couples in the 1990s. Besides Sleepless in Seattle, they also acted along each other in 1998’s You’ve Got Mail. Nora Ephron, the queen of romantic comedies, wrote and directed these films during the pinnacle of her career. You’ve Got Mail had Hanks and Ryan playing business rivals who end up falling in love with each other over the Internet. While this may not seem like something abnormal now, it was a totally new concept back then. Hanks and Ryan had undeniable chemistry and with the wit of Ephron’s writing and directing, this film is a love story destined to be remembered for decades. 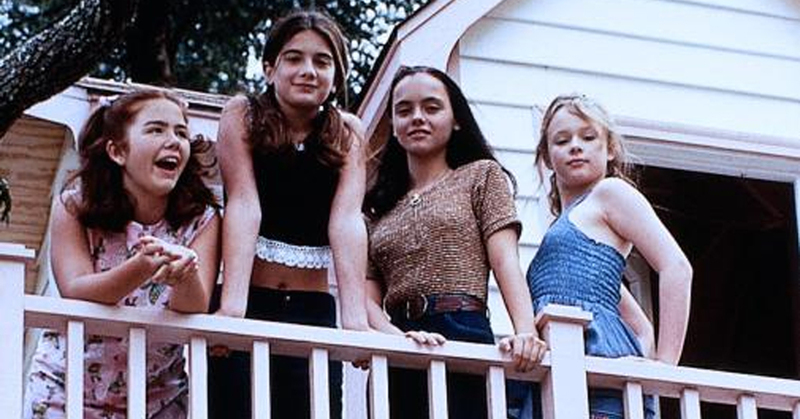 Do you remember the comedy Drew Barrymore both directed and starred in? Drew Barrymore came from a long line of relatives in Hollywood. She was even acting by the age of three, so it seems natural for her to take on some behind-the-scenes roles. Whip It is her only feature-length directing credit, but it’s a great one to have. Barrymore also stars alongside Ellen Page, Kristen Wiig, Juliette Lewis and other fearless actresses who compete in a Texas roller derby league. Bliss Cavendar (Page) is another female character with a goal to break the notion of what a girl is supposed to be by trading her pageant dress for roller skates. Something unique about Now and Then is that it’s mostly set as a flashback. It starts out with four grown women in the mid-’90s and swiftly transitions to them as young teens during the summer of 1970. Although each of them are polar opposites, their friendship is able to remain strong decades later. A movie about girl power should be led by girls both on and off camera. Lesli Linka Glatter was chosen to direct this touching coming-of-age film. Each of the characters both present and past were raw, emotionally available, and three-dimensional. Glatter was able to present ruthless and independent women who were able to break out of the time period’s strict gender roles. Animated movies have hundreds of moving parts that go into the finished product. 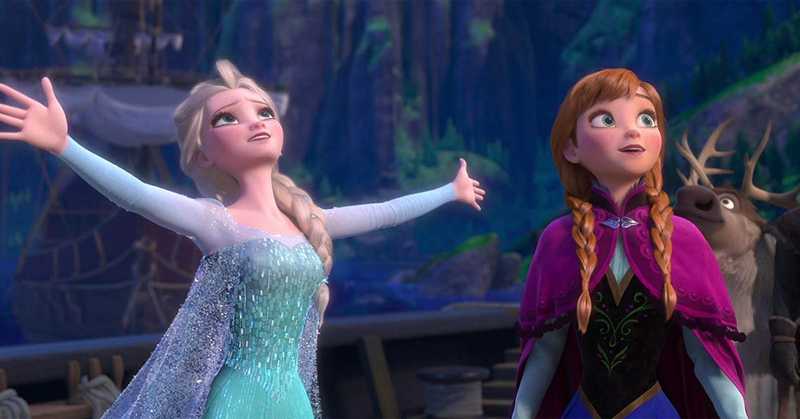 Frozen ended up being one of the most successful animated movies in history by breaking box office records and having its songs top the Billboard charts. Jennifer Lee comprised one half of the directing team for the film and also wrote the screenplay. This Disney princess film had a lot of firsts, such as not including a romantic interest for one of its leads and having a main focus on a bond between sisters. Fans all over the world had something to love about the movie, whether it was the exuberant characters, catchy music, or the flawless Disney Pixar animation. 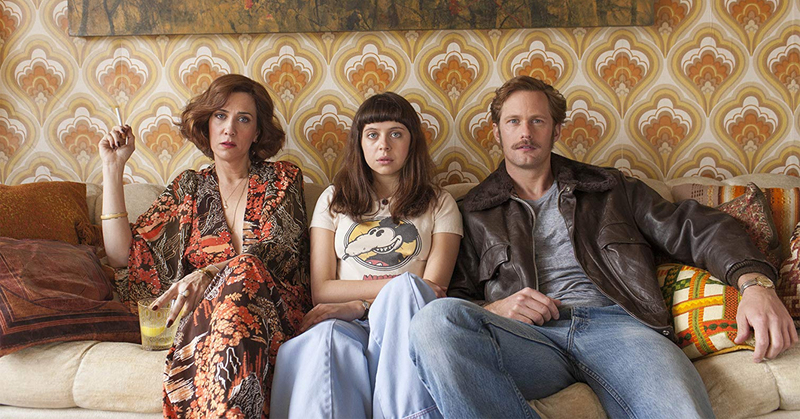 The Diary of a Teenage Girl is boldly unconventional for a coming-of-age film. It combines protagonist Minnie’s (Bel Powley) life as a teen artist in 1970s San Francisco with colorful animation to fill in the blanks. Viewers are in for some raunchy material after Minnie starts a taboo relationship with her mother’s boyfriend. Marielle Heller not only wrote the screenplay but also directed this movie based on the semi-autobiography of the same name by Phoebe Gloeckner. While the costumes and other 1970s memorabilia are pleasing to look at, it’s the shocking, genuine, and poignant look at the life of the protagonist that provides a powerful view of female sexuality. Female sexuality is something that’s rarely talked about in media, but more recently the topic has made its way into contemporary pop culture. Maggie Carey wrote and directed The To Do List, which is more of a satirical version of a romantic comedy mixed with the coming-of-age genre. Leading the film is Aubrey Plaza in the role of a teenage girl who feels pressure to become more sexually experienced before entering college, thus making to do list of acts to accomplish before she leaves. Plaza is joined by other stars such as Bill Hader, Alia Shawkat, and Donald Glover. The Beatles iconic music magnetically flows through director Julie Taymor’s cinematic masterpiece, Across the Universe. This film takes the audience on a trip back to Vietnam-era America, just when the Beatles were revolutionizing the music scene. Taymor had previous experience directing Shakespeare films and Across the Universe is almost like a Shakespearean love story against the backdrop of the Beatles’ greatest hits. Even though it’s a story that’s set over half a century ago, Taymor is able to make the film feel timeless and brand new with each viewing. It’s truly an opulent musical extravaganza unlike any other.